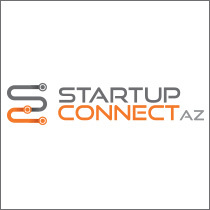 There are still spots available in the Startup Showcase exhibit area at Wednesday, December 9’s StartupConnect AZ conference. Get your company exposed to over 200 attendees from the startup + entrepreneurship community with sponsorships starting at only $750. Content at this year’s event will delight audiences as 50 successful CEOs and Executives take the stage to divulge their secrets, solutions and regrets. Hear from luminaries like Jeff Hoffman, co-founder of Priceline, as he shares the 10 key things every entrepreneur should know. Learn from Clate Mask, founder of Infusionsoft, on what it takes to create lasting success in today’s business environment. Witness a live Pitch Contest during three key times throughout the day with the winner announced just prior to the evening cocktail reception. Participate in nine interactive breakout sessions delivered by moderators and panelists who have been in the trenches and created successful ventures. Rub shoulders with some of the smartest tech startup gurus Phoenix has to offer. You won’t want to miss this opportunity to change your business and your future. Interested in sponsorship opportunities? Email Merry Lake Merrell, director of marketing with the Arizona Technology Council, today. Interested in attending? Attendance is only $50 for early-stage technology startups and AZTC members – register in advance now.